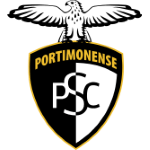 At present, Portimonense SC is in Primeira Liga (Portugal) they are in tenth place. In February 2019, Portuguese forward Aylton Boa Morte joined Portimonense SC (Portugal), whom he is still playing for. Aylton Boa Morte had 30 match appearances this season. With a height of 1.82m, he compares with Portimonense SC's mean tallness. Having been born in 1993, on September 23, his age of 25 makes him contemporary with the average player of Portimonense SC. Aylton Boa Morte prefers to play with his left foot, as do 14% of his teammates. He reached the 53 appearances milestone as a professionl, the last one being yesterday. Considering he weighs around 165.35lb, Aylton Boa Morte is approximately as heavy as the average player of Portimonense SC. Portimonense SC has eight more forwards in their squad, namely Kodai Nagashima, Joao Carlos, Bruno Tabata, Paulo Boia, Chidera Ezeh, Ruster, Jackson Martinez and Wellington Carvalho. His jersey displays the number 77. Concerning the latest matches, Aylton Boa Morte's club won in Primeira Liga. In his footballer career, a total of nine cards were ascribed to Aylton Boa Morte. While thus obtaining an average of 1.8 cards per term, he has not even gotten any yet, for now. 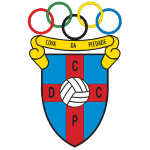 Before joining Portimonense SC, he impressed at FC Tirsense, CD Cova Piedade, SC Salgueiros, GD Estoril Praia and GD Ribeirao. 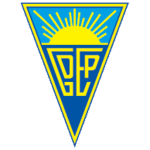 His longest stay in a team counts one year and 6 months in GD Estoril Praia (Portugal). Aylton Boa Morte's best season was Segunda Liga 18/19 (Portugal), because in this year he had his highest success in terms of goals.